Buffy Summers’ birthday was on January 19, 1981. She a typical girl until the first semester of her sophomore year at high school in Los Angeles, California, in 1996. A man calling himself a “watcher” approached her outside of school one afternoon after classes had ended and informed her that she was the next in line to become the “slayer” — the one girl in every generation who was “chosen” to be the one to fight “the vampires, the demons, and the forces of darkness.” It was a lot for a fifteen-year-old cheerleader to take. 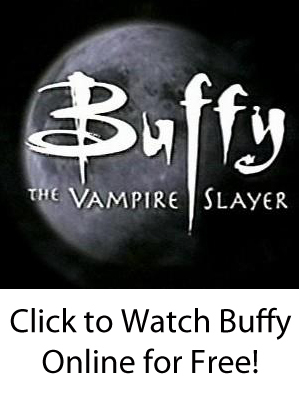 As you may have seen in the original film, Buffy trained with her new Watcher and defeated the local vampire king. In the process, however, she had to burn down the high-school gym because it was full of vampires in the ensuing battle. As a result, Buffy was expelled, and her and her newly-divorced mother moved to Sunnydale, California (officially because Sunnydale High was the only school that would take her). The “Buffy” television series picks up in the spring semester of her sophomore year on her first day at the new school. The Slayer reluctantly meets her second Watcher and makes a small group of friends quickly. The group quickly bonded in the fight against evil — despite being viewed as dorky outsiders by the other students — since Sunnydale also happened to sit on the Hellmouth, a center of evil that attracts all types of vampires, demons, and more. Buffy Summers spent seven years in Sunnydale in high school, college, and after dropping out of college battling all manner of evil. In the process, Buffy’s mother discovered her identity at the end of Season 2, the Slayer and friends blew up the school on Graduation Day, Buffy left U.C. Sunnydale to care for her sick mother (who later died), the Slayer gained a little sister and then died saving the world, Buffy was resurrected, and then she destroyed the Hellmouth once and for all. Along the way, Buffy and her friends learned many life lessons at a place when high school (and other times of life) was literally hell. Some friends were gained, and others died. Others wavered back and forth between good and evil. And the true meaning of the show were the demons serving as metaphors for the real issues that we face.